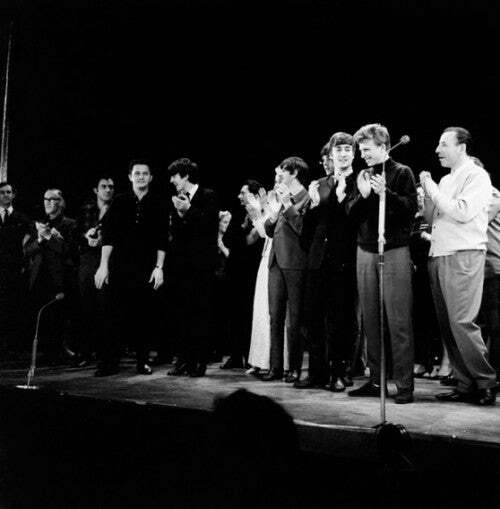 1963 was the year that Beatlemania hit the Royal Variety Performance. 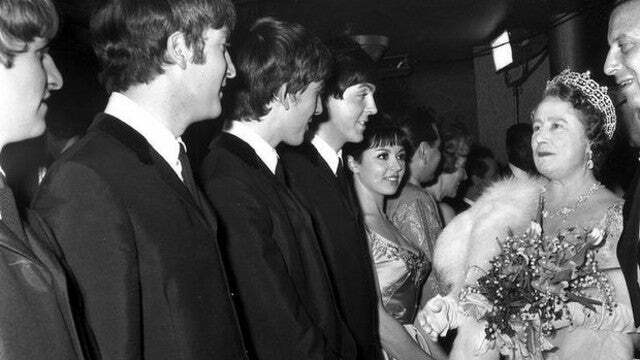 By the time of the ''royal show' at the Prince of Wales Theatre (near London's Leicester Square) on 4th November 1963, the Fab Four from Liverpool were already big stars. 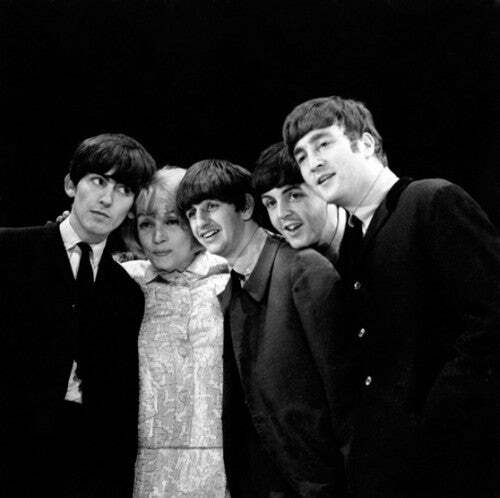 Their first single Love Me Do had made it to Number 17 in the British charts in September of the previous year. In January '63, their second single, Please Please Me, topped the NME's Independent charts and in April, From Me To You topped the UK's official charts; followed by She Loves You in August. 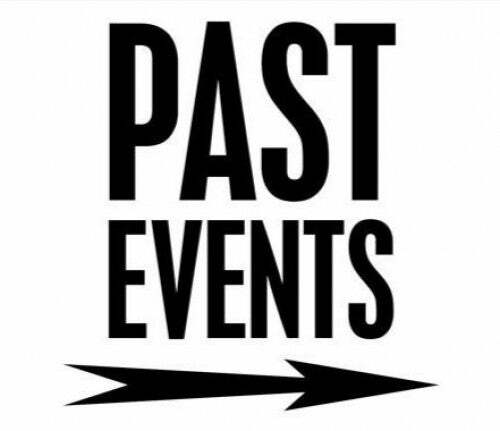 So by November, Beatlemania had swept the country like a ferocious gust of wind. 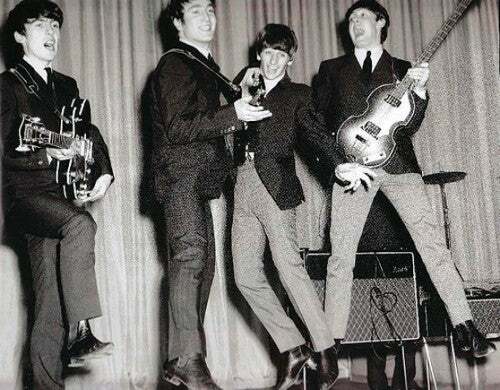 The timing was pretty good for The Beatles too! 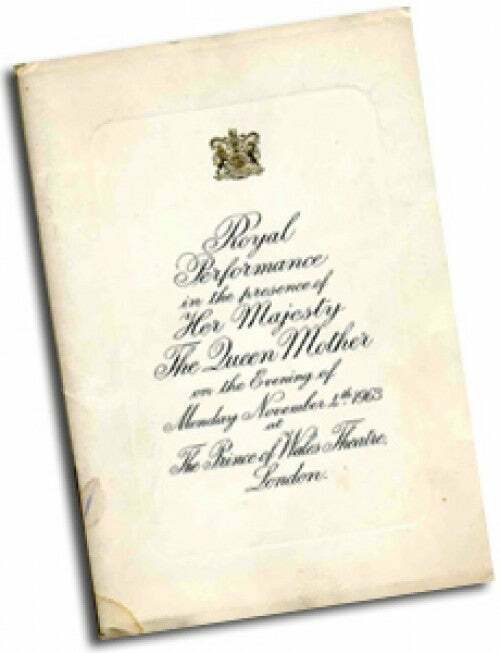 ITV had been chosen to broadcast the show and recorded their most viewed show of all time when it was broadcast a week later, on 10th November 1963 to 21.2 Million people! The group achieved their fourth British Number One Single of 1963 with I Wanna Hold Your Hand, days after broadcast. Despite technical problems in rehearsals, it was decidedly brilliant on the night, with all of the audience, including the Queen Mother, enjoying their performance immensely. 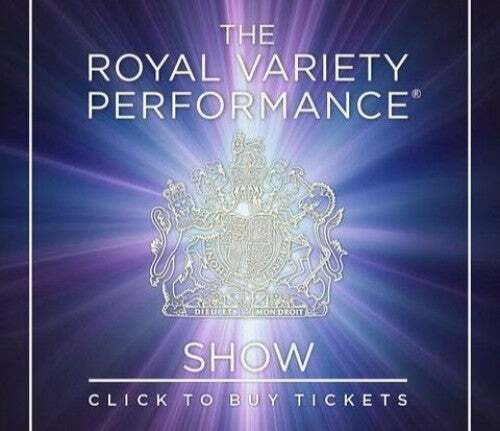 One news commentator said, "Never in all my years of observing Royal Variety audiences, have I known this usually starch, 'on their best behaviour' audience, unbend so quickly and completely." But there was much more than just The Beatles to enjoy. 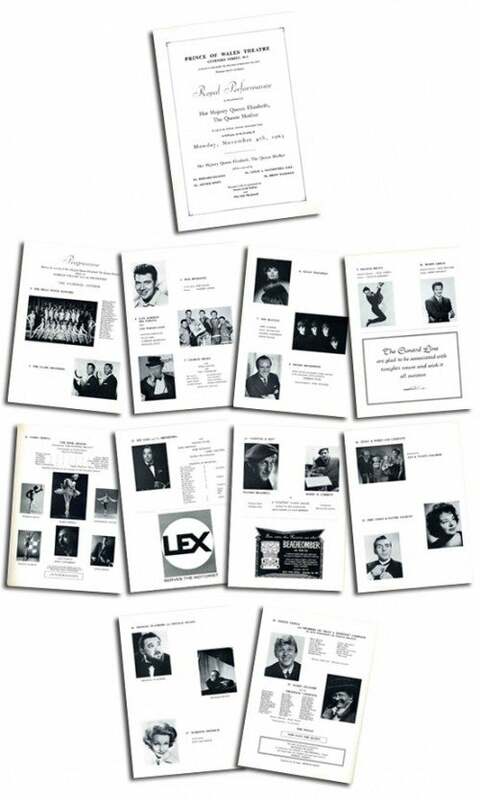 The bill included Marlene Dietrich and Burt Bacarach, Joe Loss and his orchestra, Charlie Drake, the Clark Brothers, Dickie Henderson and Steptoe & Son - alias Wilfred Brambell and Harry H. Corbett. Many considered the 1963 show the best yet. 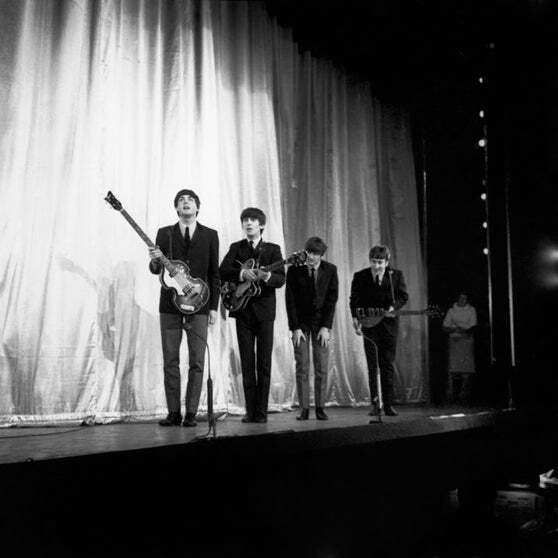 The Beatles attracted ecstatic fans outside the Prince of Wales theatre and through the Sunday rehearsals the noise of the throng could be heard by the artistes on stage. 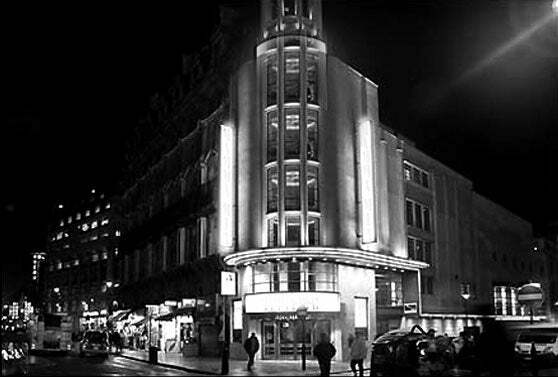 It was even necessary to construct a screened passageway between the theatre and the hotel next door, where The Beatles were staying, in order to get them in and out of the theatre without being seen. The effect of the crowds obviously affected the other artistes on the bill and Marlene Dietrich made a point of always being in evidence when the photographers were around! 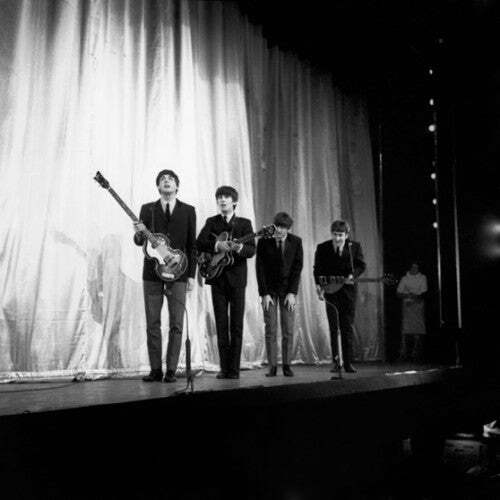 During rehearsals Paul McCartney managed to get his guitar caught in the curtains, but on the night itself the Beatles took the show by storm, performing 4 songs: 'From Me To You', 'She Loves You', 'Till There Was You' and 'Twist and Shout' - the video recording of their performance can be viewed in our archive below. On introducing 'Twist and Shout', John Lennon passed into Royal Variety history when he made his celebrated suggestion that "those in the cheap seats should clap their hands; whilst the rest could just rattle their jewellery!" As part of his act Charlie Drake performed a dance with half a dozen girls, in the course of which he turned to the Royal Box and said, "I was so pleased to see your horse won at Kempton yesterday, Your Majesty", which was rather a surprising thing to say in the middle of a Royal Variety Performance. In an attempt not to be outshone by the Beatles, or anyone else, Marlene Dietrich dazzled the audience with a sequin-covered evening dress and enchanted them with a range of songs that included 'Honeysuckle Rose', 'Where Have All the Flowers Gone?' and her all-time favourite 'Lilli Marlene'. Max Bygraves spoke for many on the bill that night, celebrities in their own right but still capable of being star-struck, when he said, 'I used to see Marlene on the old silver screen and idolize her'. 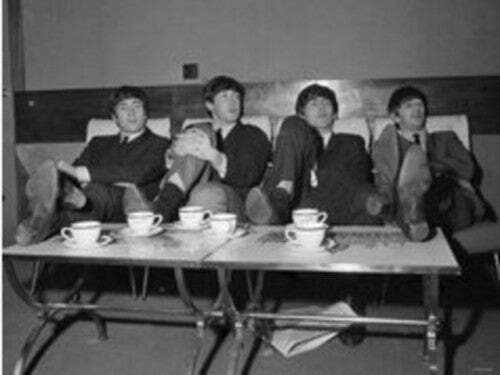 1963 however, will always be remembered for The Beatles and for creating one of those rare TV moments where the world seems to stop. 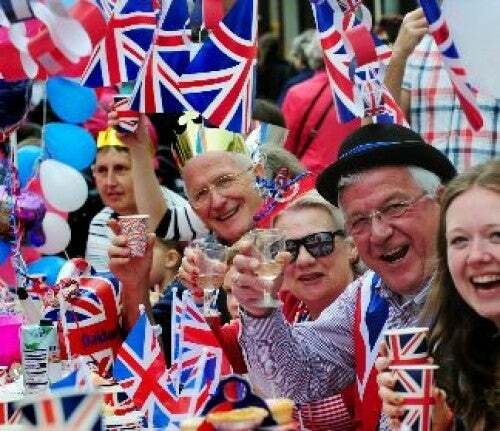 Everyone up-and-down Britain were glued to little black and white television sets to see the band perform. A unique TV moment that is rarely ever experienced by any artist; let alone repeated. Unless you are the Beatles of course! 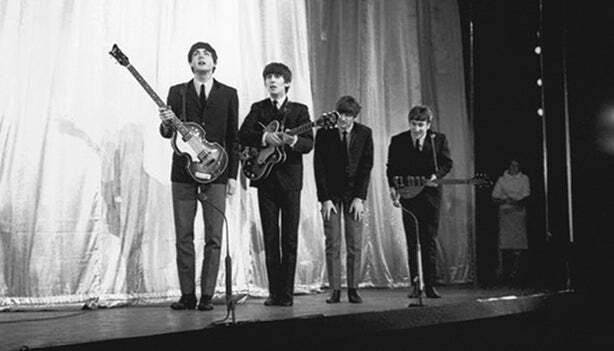 For in February '64, in the United States, it was like deja vu for the band, as an almost identical TV phenomenon happened when Bernard Delfont's brother, Lew Grade, booked them to appear on the Ed Sullivan Show. In Britain though, for the British public and for the band's home country, The Beatles big television 'hysteria moment' was on the Royal Variety Performance of 1963. Joe Loss And His Orchestra With Rose Brennan, Ross Mcmanus, Larry Gretton, The Billy Petch Dancers. "Pinky & Perky & Company"